54 Comments Published by Terrace Crawford on 12/18/12 at 4:12 PM. One of the things I've learned over the years as a youth worker is that the relationship that I have with my Senior Pastor can positively or negatively affect everything. I value my friendship and the professional relationship that I have with my pastor, but I talk with youth workers all the time who don't have a good relationship with their senior leader. Since I founded the Youth Worker Coaching Network over two years ago I've coached a number of rookie youth pastors who want to better their relationship with their boss and I sought ways to help them improve their relationship. Regardless of where your relationship stands with your senior leader, you should take some time to celebrate your Senior Pastor for the work they do. And in the spirit of celebrating Senior Pastors I thought I might offer my help to invest in the relationship between you and your boss too! Here's what I've done... I have spoken with my friends at Outback Steakhouse and they wanted to celebrate with us, so they've given me 2- $50 gift cards to giveaway here on the blog! [Go here] to find out how to enter this contest! You are reading the old blog. Subscribe to the new feed by clicking [here]. 36 Comments Published by Terrace Crawford on 12/11/12 at 9:35 AM. You may have heard the news that I announced my personal resolution to lose 100lbs by June 2013. I'm now 26 pounds down from my starting weight and I just joined the competition over at YouthPastorDiet.com, a 90-day challenge for youth workers to lose weight! But it's about to get serious up in here. I just found this video online and it may just be the key to weight loss! Why have I not tried the "Lion" before? 43 Comments Published by Terrace Crawford on at 9:10 AM. 15 Comments Published by Terrace Crawford on 11/2/12 at 7:57 AM. 1. What is the Summit? It's a youth ministry training event; but our intention has always been to do something very different than the many other excellent training events offered in the youth ministry world. For those familiar with TED (http://www.ted.com/), you can probably see how it was somewhat of an inspiration for The Summit. We want to stir imaginations and spark creativity in thinking about each attendee's unique context. We're not promoting a particular approach, or suggesting a methodology, because we firmly believe that--today, more than ever--those approaches and methodologies need to be spiritually discerned, unique, and contextually appropriate. So, think of The Summit as the "chemical agent" intended to bring about a combustable reaction leading to change! 2. 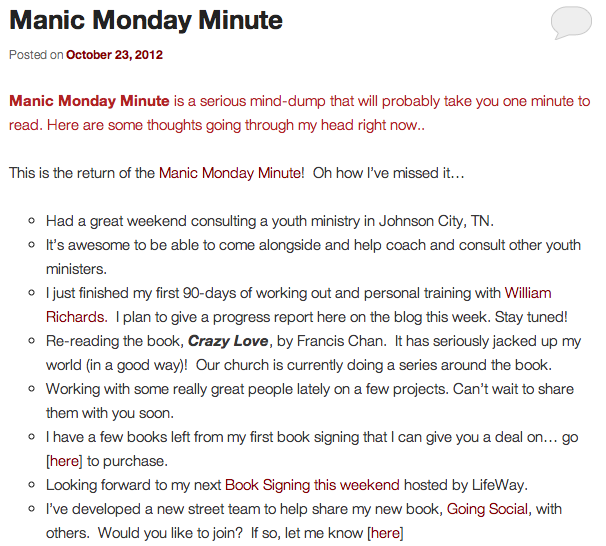 How does the event set itself a part from other Youth Ministry conferences? To be clear, The Summit is not a "skills training" event. It's an IDEA event. We believe that by bringing together a group of carefully selected presenters, each giving short, concise talks based on ideas that should shape our thinking and practice, youth workers will leave buzzing with applicable and unique thoughts about the "new things" God might want to do in their ministries. To that end, each of the first three sessions will have five or six presenters, each giving a 12 - 15 minute talk on an area of expertise. Each session is grouped under a theme umbrella; so there's a sense where the presenters in each session will each share a unique facet of the same cut gem. After each of these sessions, attendees will self-select one of the presenters with whom to spend another 45 minutes in what we're calling "Digging Deeper." The presenters are preparing these times not as further lecture, but as a guided interaction toward contextualization for everyone in the room. This is NOT the full post, please click [here] to read the full post. You can go [here] to subscribe to the new feed! This event sounds so good! Go [here] to register for the Summit now! 21 Comments Published by Terrace Crawford on 10/26/12 at 1:51 PM. I think about making an impact and the legacy I'm leaving (er not leaving...) a lot. And I do mean a lot! I shudder to think about the possibility that time would pass me by and students (and adults) who have been a part of our ministry would not be impacted in some way as a result of my leadership. I so desperately want to make a difference. I want to leave a legacy... [Click here] to read the rest of this post. I have a brand-new blog. You're reading the old one! Click [here] to read the full post. Have you subscribed to my new feed? If not, click [here]. It's easy. 79 Comments Published by Terrace Crawford on 10/25/12 at 6:22 PM. 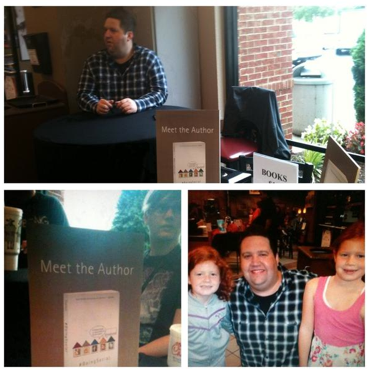 Matthew McNutt recently shared a review of my book #GoingSocial on his blog. I'll share a couple of exerpts from his review here and you can go [here] to read the full post. "Crawford does a great job of introducing the concept of using social media for ministry, the value in doing so, and the cultural relevance. He also does a great job of tackling some of the concerns people have that hold them back. 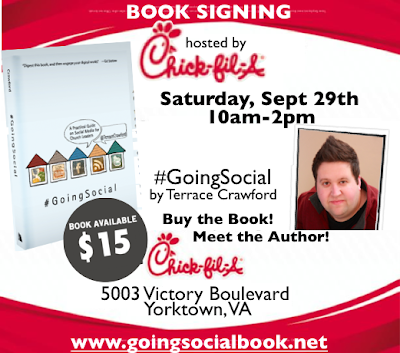 The book is ideal for people with little to no social media experience or knowledge, as he carefully walks people through how to start using the major social media outlets out there. He also gives some great practical advice on how to take advantage of the many outlets out there; blogging, Facebook, Twitter, YouTube. I actually found myself putting down the book as I was reading it to make some immediate changes to some of the social media outlets our student ministry uses, and then jumping back into the book. 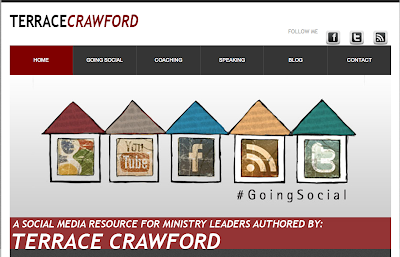 #GoingSocial is a must have for church leaders! It’s a great book, and one that I will be passing on to the other leaders in my church to take a look at." I have a brand-new blog. You're reading the old one! Click [here] to read this post. Go [here] to subscribe to the new feed! 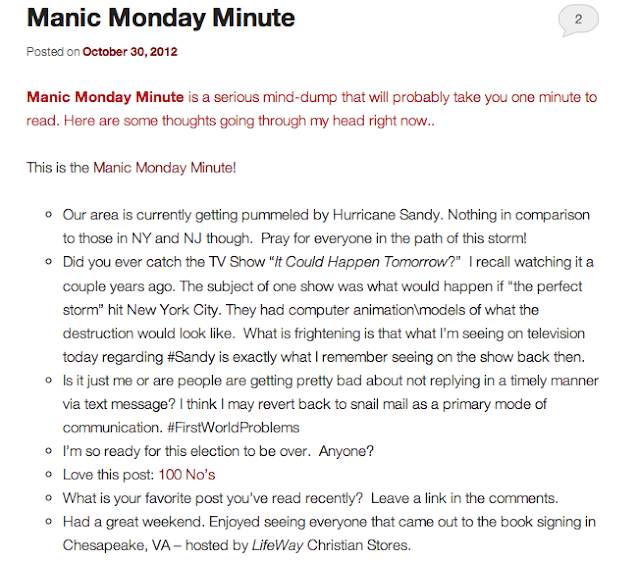 11 Comments Published by Terrace Crawford on 10/22/12 at 11:50 PM. The Manic Monday Minute has returned! It's published on my brand-new blog. To read the full post, please click [here]. Go [here] to subscribe to the new feed! 8 Comments Published by Terrace Crawford on 9/28/12 at 5:21 PM. 10 Comments Published by Terrace Crawford on 9/17/12 at 10:32 PM. 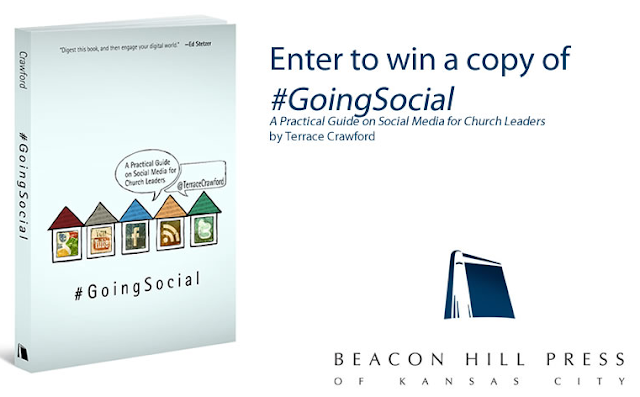 My new book, Going Social: A Practical Guide on Social Media for Church Leaders, released today! To celebrate, my publisher is giving away a FREE copy [here]. You must enter quick though... this contest is only up for two days! Going Social Book website [here]. LIKE #GoingSocial on Facebook! Tweet #GoingSocial on Twitter!